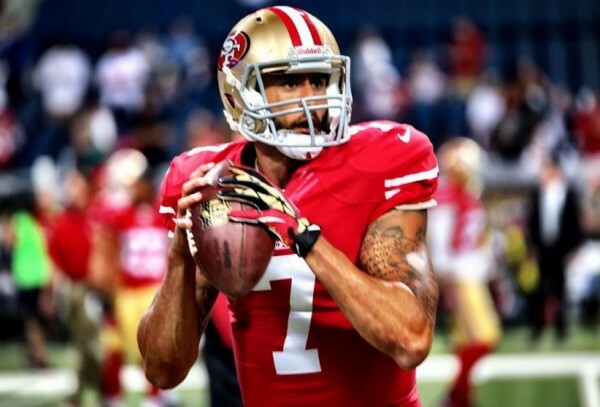 Colin Kaepernick could have been a Bronco. 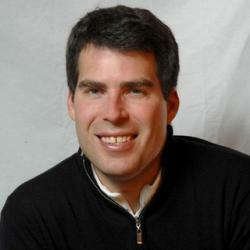 How would Colorado have reacted to his recent social-justice protests? So summer is unofficially over in the high country and there’s even some snow in the forecast for this week. That means we’re only two months away from the end of the nastiest presidential election cycle in modern American history, and that, more importantly, the Denver Broncos have finally begun their defense of the Lombardi Trophy they won last February. When last we saw them in a meaningful game the Broncos defense was pummeling Carolina’s Cam Newton the way Donald Trump has run roughshod over virtually every societal subgroup in America in the ensuring months. Now Trump is the GOP nominee and Newton, the Super Bowl runner-up, got pummeled again in Thursday’s NFL opener in Denver. Brandon Marshall takes a knee on Thursday night. Many of the Panthers, but notably not Newton, are complaining bitterly about the abuse their quarterback took. For his part, Newton, who was mercilessly criticized for his post-Super Bowl demeanor, handled last week’s controversy well, even as his father questioned the racial undertones of what is seemingly the league’s double standard for African-American QB’s. Even as a diehard Denver Broncos fan, I have to admit some of the hits on Newton in Thursday night’s opener crossed a line and should have drawn more flags, but I think the bias has more to do with his size and willingness to run through and over defenders than his race. I really like how Newton handled everything Thursday compared to his pre-Super Bowl preening and post-game sulking. I defended Newton’s behavior all last season, and attributed most of the criticism to white America’s discomfort with an “uppity black man.” His dancing and antics are entertaining and good for the game, but when you lose, you have to stand up and field the questions with just as much flare. On Thursday night that’s exactly what he did, refusing to blame the refs. All of this is very telling in the context of the Black Lives Matter movement and Colin Kaepernick’s social-justice protest that started with the San Francisco 49ers quarterback refusing to stand during a preseason game National Anthem a couple of weeks ago. The Broncos came very close to trading for Kaepernick as the replacement for Brock Osweiler when he took more money from the Houston Texans and passed on following in the footsteps of retired Broncos’ QB Peyton Manning. That trade never happened, but clearly it would have would have been very interesting in Denver if it had. I was pulling for Mark Sanchez to take the reins from Manning and give Denver and the nation a quarterback with Mexican roots to root for during Trump’s Mexico-bashing tour heading into the Nov. 8 election, but Broncos’ chief honcho John Elway liked what he saw in Trevor Siemian – something I predicted last spring – and first-round draft choice Paxton Lynch. I’m not sure how much Elway, a pretty staunch Republican, would have tolerated Kaepernick’s protest. In general, the Broncos’ boss man isn’t too accommodating when it comes to player distractions. Look how quickly he rejected the religious right and the borderline fanaticism surrounding Tim Tebow. Of course, Elway had a pretty solid Plan B in the form of Manning. 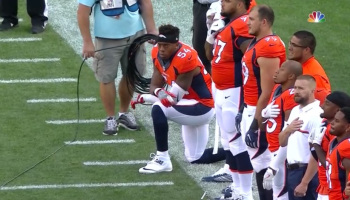 We will never know how all of that would have gone down, but obviously Kap would have had a pretty strong backer in former Nevada teammate and current Bronco linebacker Brandon Marshall, who took to a knee during the Anthem before Thursday’s game and lost an endorsement deal with Air Academy Federal Credit Union. I think it’s false patriotism to pillory professional athletes for exercising their right to free speech and standing up to social injustice in this country. Burning jerseys for failure to properly stand during the Anthem is hypocrisy when ignoring the truly heinous actions of some players, from domestic abuse to involvement in homicides. It is our duty to question the actions of our police and our military. Blindly charging ahead without enough evidence and proper societal debate leads to the post-9/11 invasion of Iraq and destabilization of an entire region that carries repercussions to this day. Ignoring institutional racism leads to the horrific police killings of African Americans we’ve seen in recent years. Frequently we criticize professional athletes for just collecting a check and not giving back to the community or taking a stand on important social issues. Kaepernick and Marshall cannot be accused of doing that, and the risks they’re taking are the ultimate form of sacrifice and patriotism. They’re trying to improve our public policy, and for that they deserve applause. Khalilah Camacho Ali, a former wife of Muhammad Ali during the boxer’s protest against the Vietnam War, recently advised Kaepernick to “get off his high horse” and do more than just protest, but by contributing $1 million to community causes and saying he will campaign for social justice if he loses his NFL job, I think Kap has fully dismounted from that horse. Ali knew the risks to his boxing career and his own personal freedom when he refused to enter into the military draft. He loudly voiced a valid criticism that the disproportionate burden of military conflicts falls on poor, minority Americans, and that still holds true today even though the draft no longer is in play. We are a complacent society content to watch as others engage in never-ending, undeclared wars for us. My dad was a retired Air Force officer, and there were a lot of things we didn’t agree on. He would have been furious at Kaepernick and Marshall. But on some things we did agree. Citizens have an obligation to be informed, vote their conscience and engage in full-throated debate over public-policy issues. And Congress absolutely must fully debate going to war and officially declare war, never abdicating that responsibility to the executive branch. I believe pro athletes, including Kaepernick as a backup in one of tonight’s Monday Night Football games, should be applauded for tackling his responsibility as a citizen head-on, not demonized for exercising the most hallowed of American freedoms.